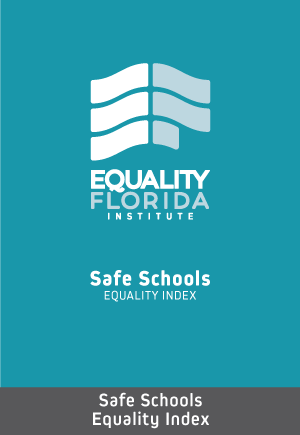 The Equality Florida “Safe Schools Equality Index” serves as a comprehensive guide outlining nationally recognized LGBTQ policies and best practices. It will serve as a roadmap for all of Florida’s districts that are eager to improve programs, and will help to create urgency for districts that may be unaware of the needs of our LGBTQ students and the staggering at risk mental health and substance abuse challenges faced by students in our schools. Click below to read more about the index and to see the best practices we are advocating statewide.